In Montréal’s borough of Verdun, one building in particular stands out as the pride and joy of its residents: the Verdun Auditorium. 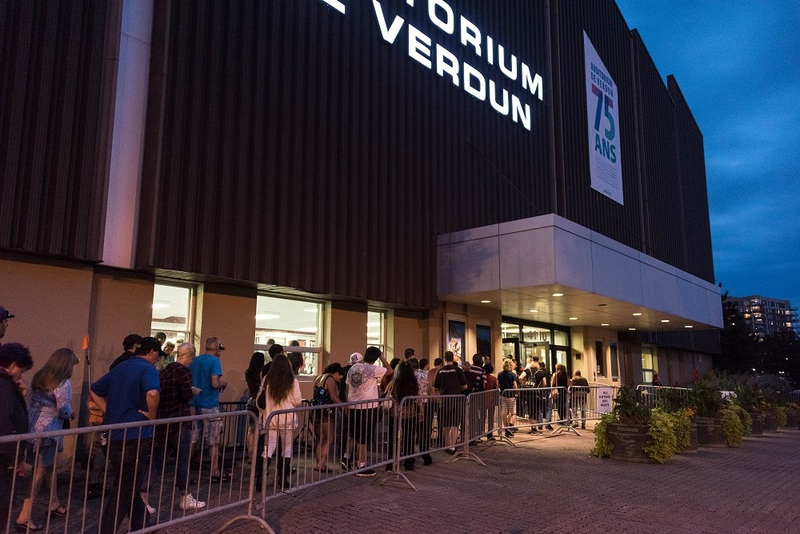 The oldest arena in Montréal is part of the everyday life of several generations of Verdunites. It is a member of the family! Together, they lived through the war, the glorious years of hockey, the music trends, the 1995 referendum on Québec sovereignty, and a number of other events. From the outside, the Verdun Auditorium seems very ordinary. Concealed behind a metallic front façade that looks like a shell, the arena is a treasure trove of countless stories and delightful anecdotes. Some of these moments in history are funny, some are sad, but all are truly amazing! Theses stories present various characters, such as the Canadian army, elite athletes, animals and politicians, as well as rock idols and movies stars, to name a few! In 2015, after 75 years of existence, the Auditorium’s doors have to be temporarily closed for major renovations. Before its closing, the building received a big party! This exhibition presents in all its glory the incredible venue that is the Verdun Auditorium. This building was waiting for just the right time to tell its story and its numerous anecdotes. Heading into a facelift that include restoring its original brick façade, the oldest arena in Montréal, at last, unveils itself for everyone to see!